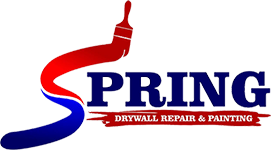 Spring Drywall Repair and Painting in Houston, Texas, does excellent work in drywall replacement, interior painting, and more. Every estimate we provide is priced as low as possible for our clients, whether they are first-time customers or regulars. Feel free to request a free estimate on any drywall work you need done. "Excellent repair and very well priced. I was very satisfied with the finished product and how quickly the work was done. I would definitely recommend his work to others." "Can't say enough good things about Spring Drywall Repair. I was able to schedule an appointment within 48 hours to patch a hole in the ceiling from a repair that was needed. Marcelo patched the ceiling in far less time than anticipated. Looks great, can't even tell a hole was in the ceiling. Quick and professional work." "Spring Drywall Repair was great. The repairs turned out excellent and Marcelo did a great job of cleaning up the workspace. Would definitely recommend." "Spring Drywall Repair has done several drywall repair projects for us, some significant, some minor. All of which turned out absolutely flawless — no one would ever be able to tell there had been any work done. He is quick to respond and charges a very reasonable rate. On the most recent project, the damage ended up being less than expected so he charged us much less than his original quote. He is also just a really nice guy who is great to work with. I would recommend him to anyone."